Shellbelle's Tiki Hut: Game Time and I'm not talking football! Our planet is 71% water and 97% of that is saltwater. This makes me very happy, because if means there's plenty of beaches, where plenty of seashells will wash ashore. "I have the world's largest collection of seashells. If you chose any of these, you'd be wrong. 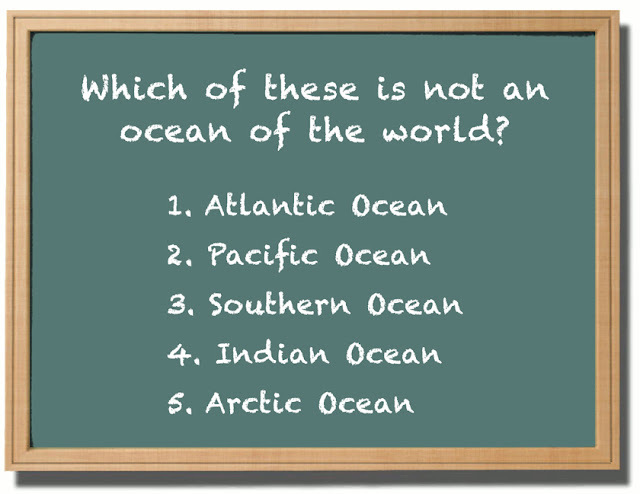 Sorry, but there are five oceans of the world. Trick question? Not really. Okay, I guess it was. First, let me ask, did you think there were only four oceans? If you're of a certain age this was true when you were in school. In fact, anyone who graduated prior to the Spring of 2000 probably got this wrong, unless you're someone like me who is really into oceans and ocean conservation. I would get this question right were I to appear on aforementioned game show. I can't promise I would get any others right, but this one would show me the money! In case you didn't catch the breaking news, in 2000, the International Hydrographic Organization (IHO) established boundaries for the Southern Ocean. Now we know the planet didn't suddenly grow larger, so how'd this happen? What the IHO did was to define new boundaries. 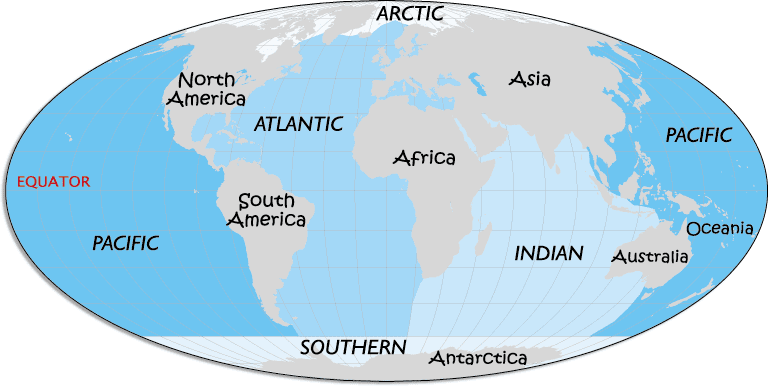 They created a "new" ocean from southern portions of the Atlantic, the Indian and the Pacific oceans — hence the name — The Southern Ocean. This makes sense logically, unless you live in the South, where we think we should live on the Southern Ocean, but that's a story for another post. I have to add though that those of us on the Gulf of Mexico (part of the Atlantic Ocean) don't like frozen water, so we're more partial to renaming, rather than moving. Our oceans are further divided into seas, gulfs and other water bodies. For purposes of this post, we are just talking oceans today. Are you wondering what the heck that purpose is? Let me get to the point. 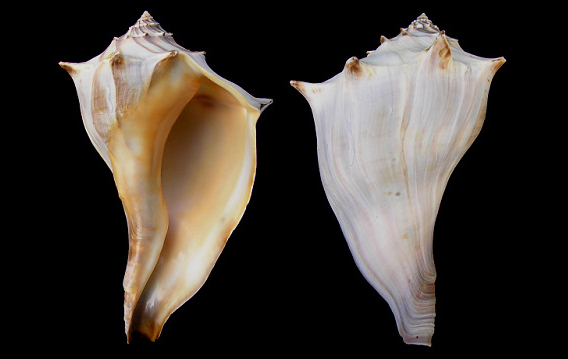 In a recent post I told you that the Horse Conch is the official shell of Florida. This set me to wondering what the shells of other states are. I don't know why, my brain just works that way. I did a Google search for…official state shells. Now I know you're all dying to know what states have Official State Shells, if not, just look at the pretty pictures. 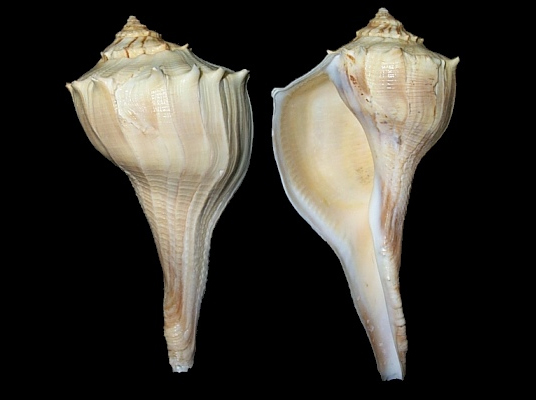 Since a few states share the same specimen, I'm going to do this by the names of the shell. The year of designation is in parenthesis. 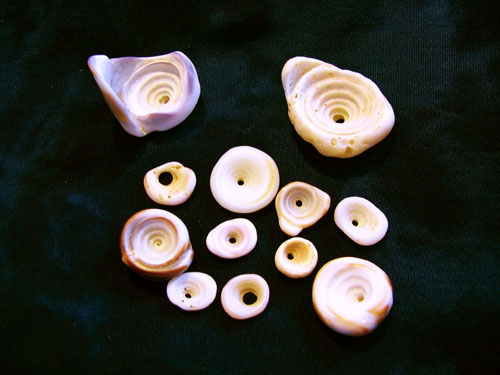 All seashell photos are from JaxShells unless otherwise noted. 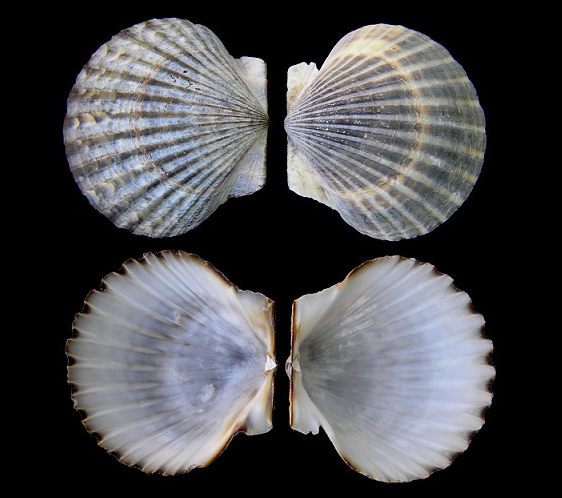 Factoid: the very first state to designate a state shell was North Carolina in 1965. So who doesn't have a state shell? Alaska, California, Delaware, Hawaii, Louisiana, Maine, Maryland, New Hampshire, Washington have not made this distinction. Out of these nine only Maryland comes anywhere close to having a state shell, but it's actually their state fossil. 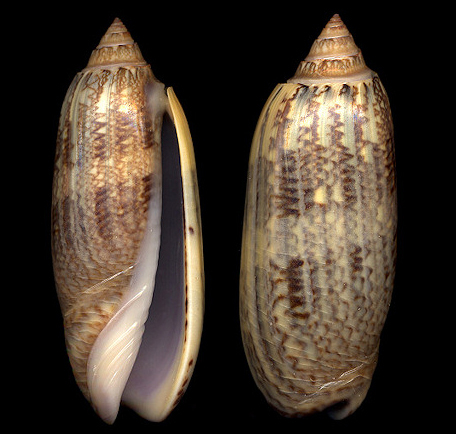 The Ecphora gardnerae gardnerae pictured below is a long extinct snail that inhabited the Chesapeake Bay 3 million years ago. Nope, this would not make a good state shell. We want something that we can look for at low tide that is a little bit newer than 5 million-years-old. Miocene, by the Johns Hopkins Press. Illustration by J.C. McConnell, who died in 1904 before the book was published. In case you live in one of the states that has neglected (the horror) to name an official state shell, I have a recommendation for each. Feel free to write your elected officials on this most important matter. Just kidding, no I'm not… really, I'm kidding. Not. 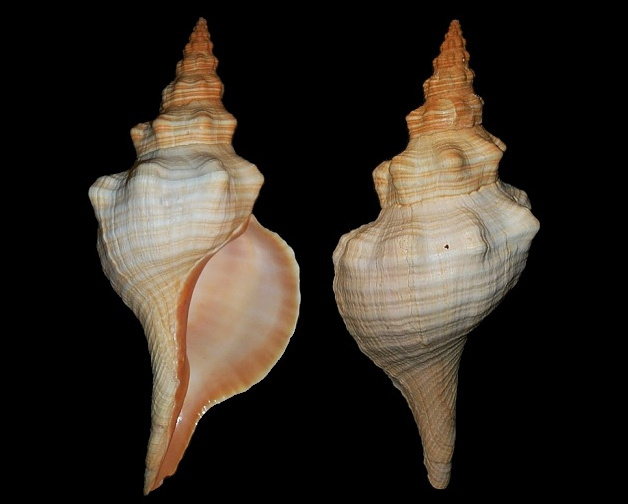 Puka is Hawaiian for “hole” and is used to describe a naturally-occurring hole in the middle of the cone snail shell like those in the above photo.While not a true shell, in and of itself, I believe the Puka Shell is an excellent choice for the Hawaiian Islands. 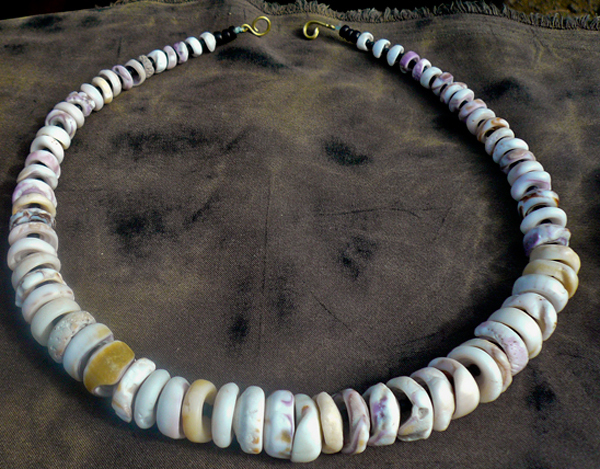 I spent my teenage years on the beaches of Malibu and any surfer worth his or her weight in gold wore an AUTHENTIC puka shell necklace from Hawaii. When I was young, my family would comb the beaches of Southern California and one of the shells we collected was abalone. I love them; the one picture above is from my personal collection — the outer shell has been removed to reveal the mother-of-pearl below. 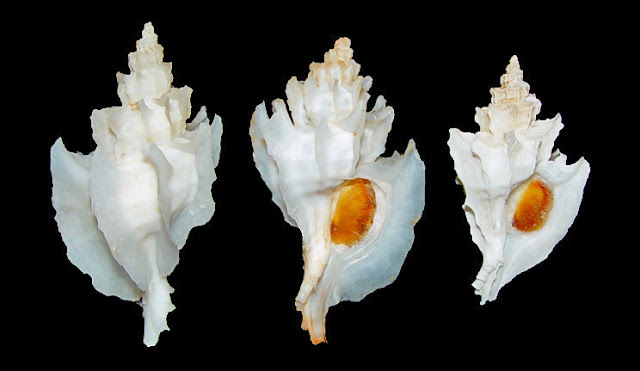 This shell from the Muricidae family is gorgeous and would make a fabulous debut as the official state shell of Alaska. I think this is the perfect state shell for Louisiana. With all they've gone through between Hurricane Katrina and the BP Oil Spill, I think they could use some angel wings. They are from Dolles Candy Store on Rehoboth Beach. 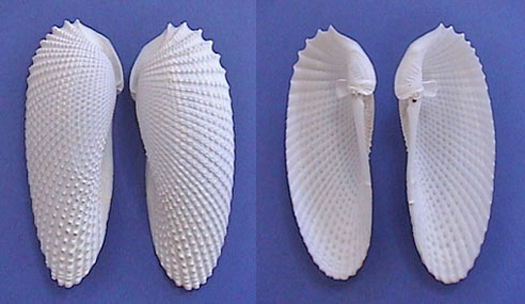 Now these would be really fun to have as the state shell, but let's get real here, they don't fit the criteria of actual seashells in any way. 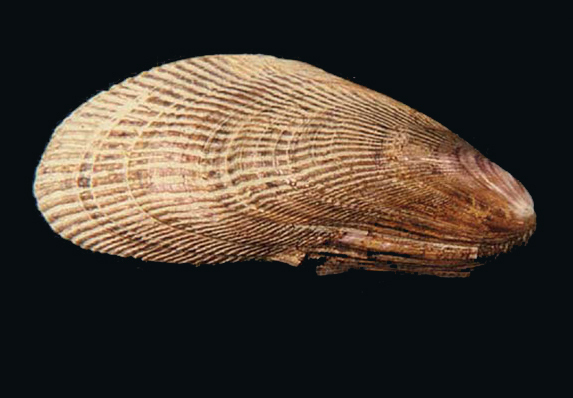 With that in mind, I would name the Atlantic Ribbed Mussel as Delaware's official state shell. 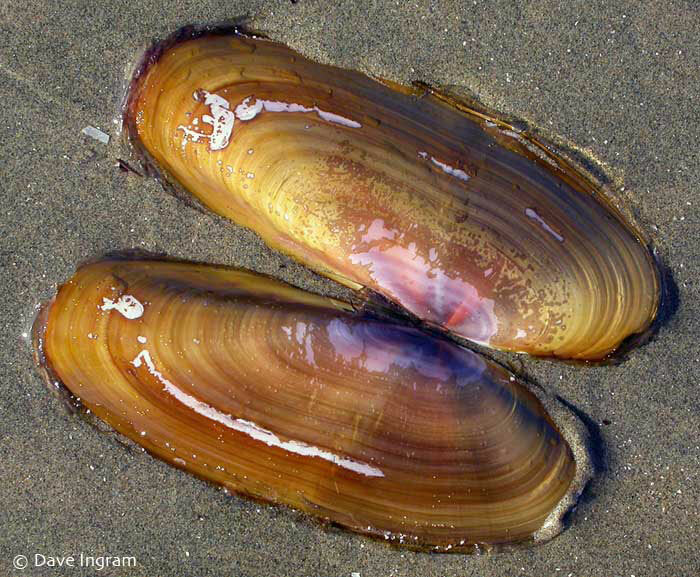 The Blue Mussel is already popular in Delaware's seafood restaurants, so let's honor the Atlantic Ribbed Mussel for it's contribution to the ecosystem. As they feed on algae, they are filtering the water, making for a cleaner environment. These little shells only grow to be about 1-inch in length, but I think they're so darn cute they deserve some recognition. 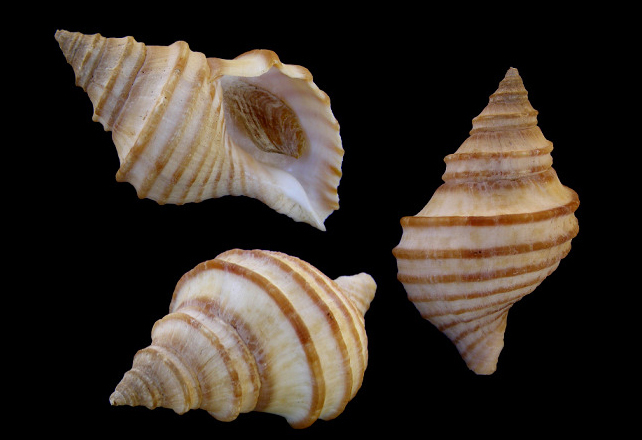 Small, but mighty, the Transverse Ark is a common shell found on the shores of the Atlantic Ocean. I say, let's hear it for the common guy! 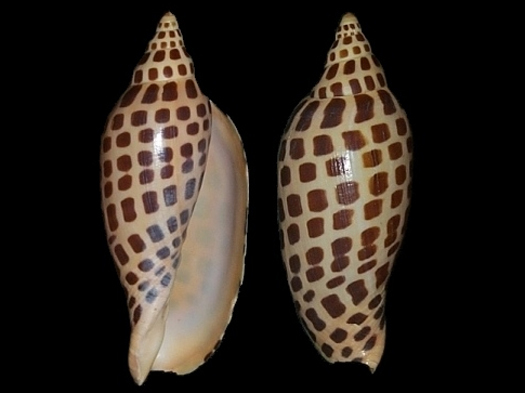 This is a pretty shell, I wouldn't mind having a few of these to add to my collection. Plus, I just like saying the name Dogwinkle. The shell of this clam is beautiful and from the reading I did while researching shells found in Washington, I discovered that is is delicate and delicious as well. For these reasons, I elect the Pacific Razor Clam to be the official state shell of Washington. Thanks for visiting and playing along today. If you live in one those states that has not designated a state shell, please feel free to chime in with your own nominees for this honor. 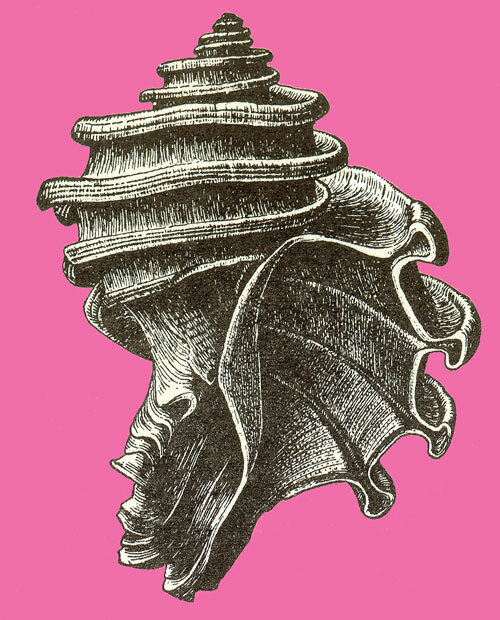 Girl, this was a fascinating read and some beautiful shells! I love the fact that NC has a Scotch Bonnet as their shell with as many Scots who settled there. Good choice. And I am SHOCKED that Louisina doesn't have a state shell, and I'm even more shocked that it's not the oyster as I associate oyster po-boys with New Orleans! I would vote for the oyster, even though their next door neighbor (Mississippi) has that, but the angel wing shell is lovely and would be a good shell for them, too. But as much seafood as they eat and as many oysters as have been shucked in NOLA alone, I think they just might need the oyster shell. I'd be fine with either. What a cool post that was! Yay for New Jersey - we have a shell! Some really interesting facts! Wow, this is such a great post, I learned a lot! As a native Marylander I'm so disappointed that we don't have a state shell! I have several friends who are Maryland Representatives and I may have to bring this up next time I see them, as a matter of fact I promise to! I can't believe that with our long history of oystering that we don't have the oyster shell as our state shell the way Virginia does! What a fabulous post Rhonda! I knew about the oceans, but did not know about the state shells. I am glad my three states have state seashells, but I would never have associated the Eastern Oyster with Connecticut. A clam yes, but not an oyster. You always share such fascinating information with us! Okay, I've got to get out of Washington and explore these other states 'cause they are all prettier than the Pacific Razor Clam (which our beaches are covered with). If you like to eat clams, I hear they are delicious. I had no idea! I read this to my husband...he also failed! Geography lesson at our house tonight...we are so old we only learned about 4. OMGosh, you are the smartest friend ever. Whonu! I learn something new everytime I read one of your posts. I'm alittle miffed about Alabama getting the junonia...what's up with that! Great post. 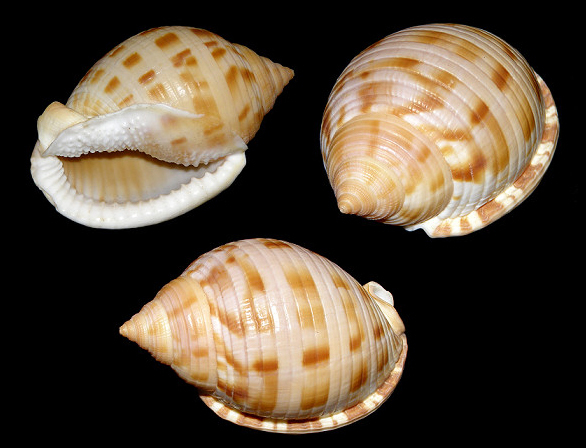 If I knew that Alabama had junonia's (I am assumming there are plenty there - considering it is the State Shell - I would have gone shelling last time I was there!! Well.. the good news is.. I guessed Southern Ocean... which means.. I'm only partly ignorant.. hahahaha. Thanks for the sweet comment on last post.. it's all so sad... and makes me feel a little guilty to even think of posting water at moment.. silly I know.. but still so raw for some of my fellow aussies..
not that you shouldn't.!!! you know what i mean!.. I knew about the Oceans..
but state shells was a new one for me!! loved the visual impact of each and every one!! love the angel wings,, my sis gave me a perfect set for "just because!" 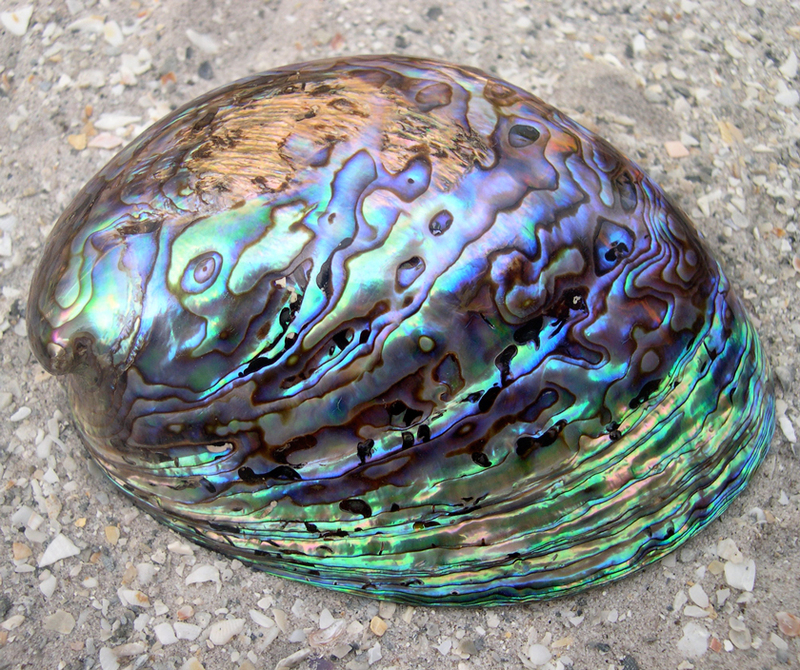 and abalone.. love the colors!! wish I could get my rump on a plane and head your way.. what fun (mischief) we'd get into!!! thanks again for all the sweet words..
Love your new header!! And what a great post..., with all the state shells -I'll mention it on my coastal news post this weekend. And how awesome is that quote by Stephen Wright!!!!! 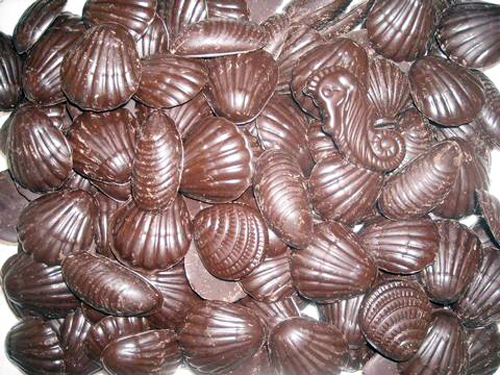 I din't know about state shells..I can't believe NJ has a shell! yay!! Your posts are always so informative and this was so much fun. How are you doing??? Is your cold better, I hope so. Great post. I was perfectly happy with 4 oceans, but 5 is fine with me :-) A lightning welk being called a prickly welk is also new to me, more trivia. I love the darker, bluish gray ones we find here. don't anyone diss on the Southern Ocean, that's MY playground!!! At least it was in Jan-Feb 2004 and 2005 and if dreams come true will someday be again.